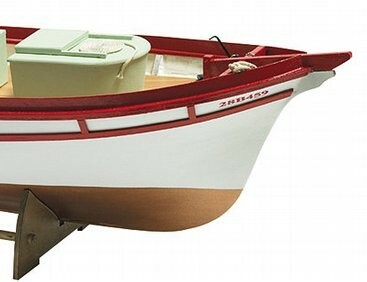 Billing Boats (WJ1022) Monterey Fishing Cutter - Model Boat & Fittings is a scale model fishing boat. Even though this boat is known as a “Monterey,” the design of this craft originated in San Francisco Bay, California, (90 miles from Monterey). 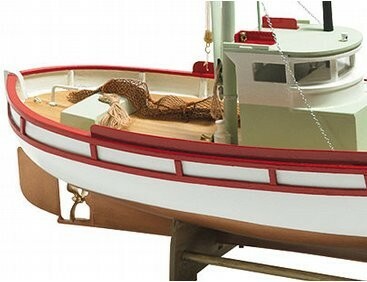 This boat was built at Fisherman’s Wharf in San Francisco and was given the nickname “Monterey”. The immigrant Italian or Sicilian craftsman in San Francisco Bay, patterned the “Monterey” after the Mediterranean Lateen Felucca, with modifications to accept a gas engine, so this is a true California, USA creation! 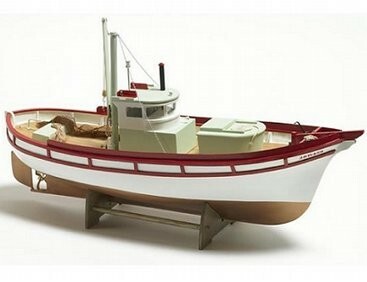 Kit Contents: Plan with detailed building instructions German, English, French, Danish, Italian and Dutch, planked wood hull, decks from wood, plastic and wooden parts to finish the model, stern tube with shaft and propeller.All fittings included.